The Steamin Demon Classic is light, portable, and efficient. It extracts three times the soil as the traditional truck mount in half the time. Each machine comes standard with a 50 ft. section supply & drain hose with power cord, 33 ft. pre-spray hose with Dial A Mix pre spray applicator, 5 sink fittings, tote caddy, lip hook, extra butterfly handle, and garden hose washer The vacuum motor is a vortex with ​13.4 amp max, 124" H​2​O, 114 CFM. The handle height is 24 inches. 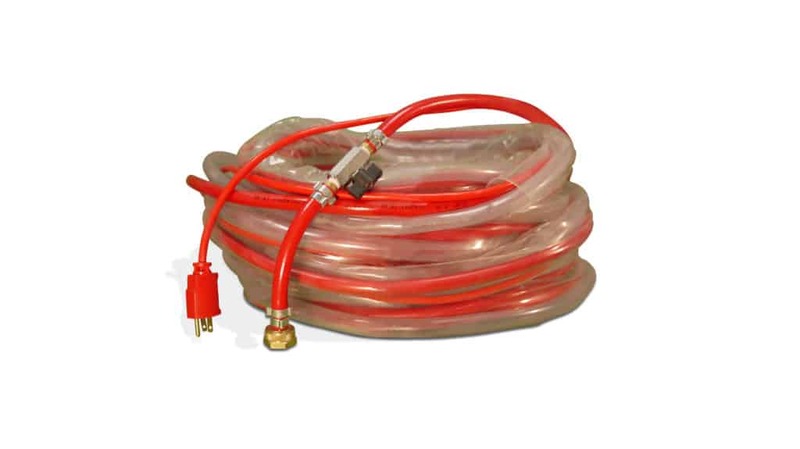 Each machine comes standard with 50 ft. section supply & drain hose with power cord, 33 ft. pre-spray hose with Dial A Mix pre spray applicator, 5 sink fittings, tote caddy, lip hook, extra butterfly handle, and garden hose washer. 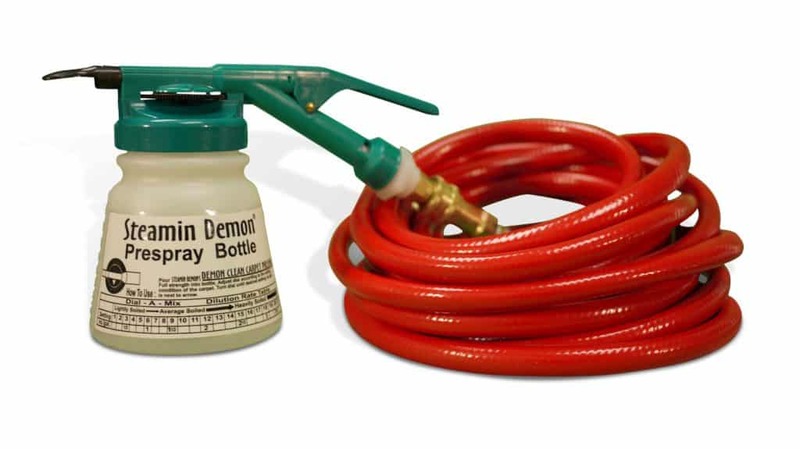 The Steamin Demon prespray system is paired with a 33 ft pressure hose with a Dial-A-Mix sprayer. It is easily attachable to the machine and is custom made to work with the Steamin Demon machine to ensure the spotless carpets. The Steamin Demon discharge pump is specially made to flawlessly work with the machine in order to discharge water at the fasted rate possible. 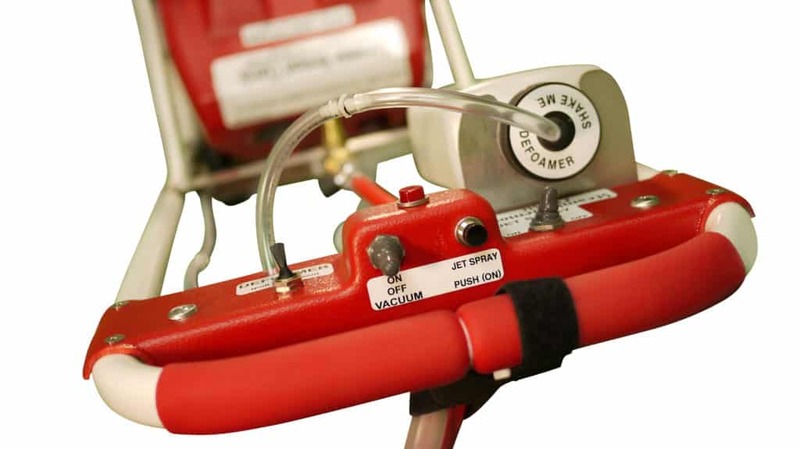 The pump works at 2 amp, 5.5 gallons per minute. 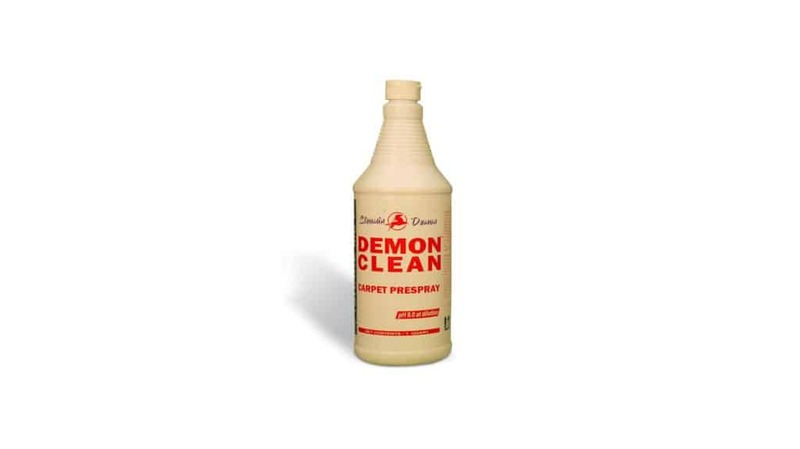 The Steamin Demon carpet defoamer is used to eliminate foam in our machine’s tank. 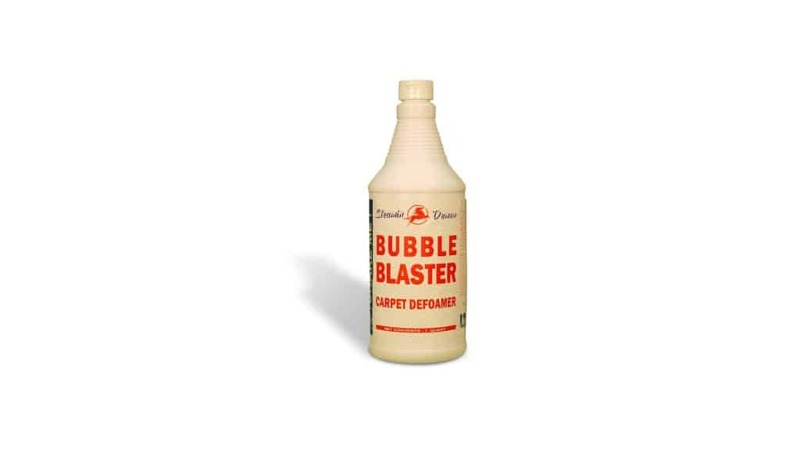 Defoamer should be used if large amounts of detergent residue has built up in the carpet. If defoamer dispenser is used, make sure it is rinsed out after completion. The Steamin Demon carpet prespray is used before the steaming process begins. 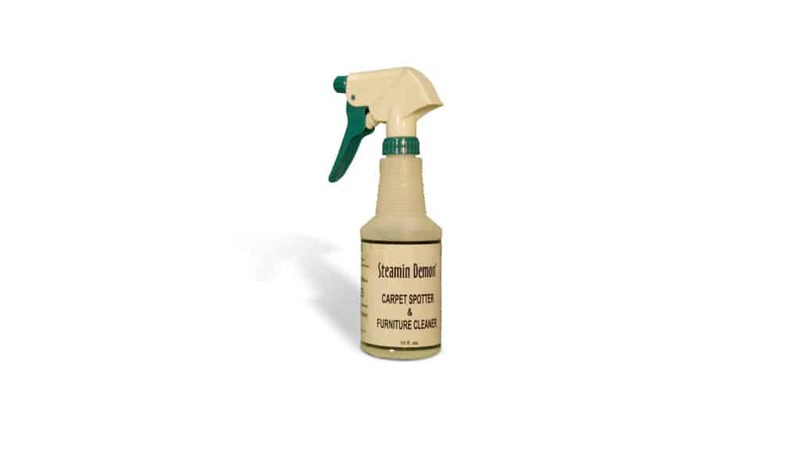 Carpet prespray can be purchased separately or with the machine.